Check out some of Kate Towell's wellness definitions. Image credit: Kate Towell's blog. According to Deepak Chopra, the first step in your health evolution is to define what wellness means to you. As soon as you do this you begin to create new neural pathways rewiring your brain to focus on this new vision of health. How great is that? The cool thing is when my clients come to an answer no two definitions are alike, and they never include a number on the scale or a pants size. When you have a clear definition of what wellness is to you then you can direct your energy to create the vibrant health you desire. 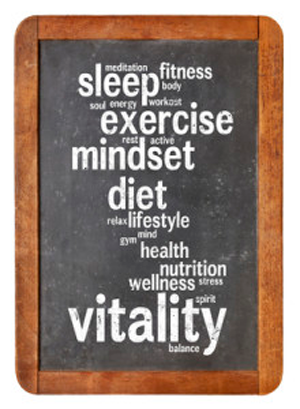 Here are some definitions of health and wellness I like. Please add yours in the comments. My idea for this blog was sparked after reading Kris Carr’s quote below. Love it!